The soaring expedition Calcinate-Sotos-Calcinate is currently under way. 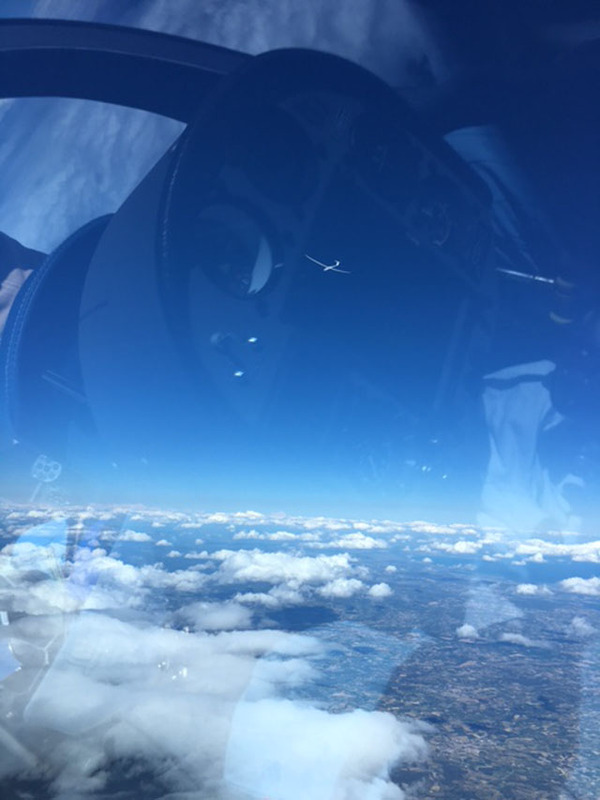 On July 6th four gliders departed ACAO Varese, destination Sotos, Spain (between Valencia and Madrid): an ASG32 crewed by Antonio Caraffini and Alberto Sironi, an Arcus M, with Aldo Pigni and Margherita Acquaderni, a Nimbus 4DM with Vittorio Squarciafico and Maurizio Quintarelli and a Ventus Ct flown by Paolo Carnevale Miacca. On the ground Lorenzo Fornari followed with the Minivan with the baggage and necessary supplies for the gliders. Here’s a sum up of the stages until today. July 6th, first stage: Calcinate-Montélimar (Provence Airport, 80km north of Avignon). July 7th, second stage Montélimar- La Cerdanya (Pyrenees Airport in nearby Spain). Again not an easy day, with an absence of cumuli and a flight of around 370km. Beautiful crossing the Pyrennees, again needing help from the engines and a final glide to the La Cerdanya valley. July 8th, poor weather and the pilots decide to stay on the ground preferring some horse riding in the valley. July 9th, third stage: La Cerdanya-Sotos. Great day. The three gliders take off at approximatley13.00, the Nimbus by aero-tow and the other two using their own power. The distance to run is a little more than 400km but involves crossing the Elbro valley, notoriously free of thermals. It is therefore necessary to gain maximum height before leaving the Pyrenees to the southwest. Unfortunately the Arcus engine developed a serious problem during the climb, forcing Aldo and Margot to land back at La Certanya. They have to leave the glider at the airport (thanks to hangar space !) and continue to Sotos by road. The other two gliders arrive without problems at Sotos after a flight of just over four hours. After crossing the Elbro valley we eventually met the first cumuli of our trip. Finally the rate of climb became important and the base was almost 3000m increasing to 3,200m approaching Sotos. Take off at 12.45 with Vittorio and Margot in the Nimbus and Antonio and Aldo in the ASG32. Good weather climbing to 3,800m over the flatlands. 700 km of free flight to taste the flying area.